The river is up, after days of rain. 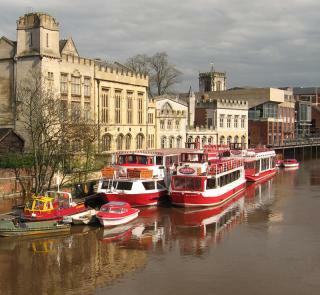 From Lendal Bridge – red boats in front of the Guildhall. 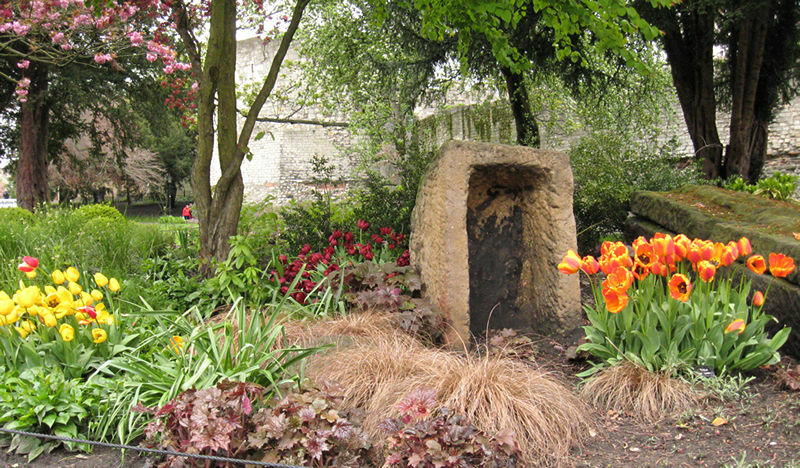 Tulips flowering by a stone coffin, Museum Gardens. 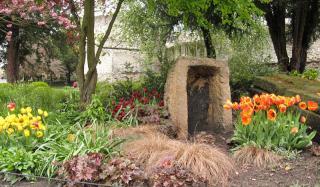 Less structured planting – in fact not structured at all. 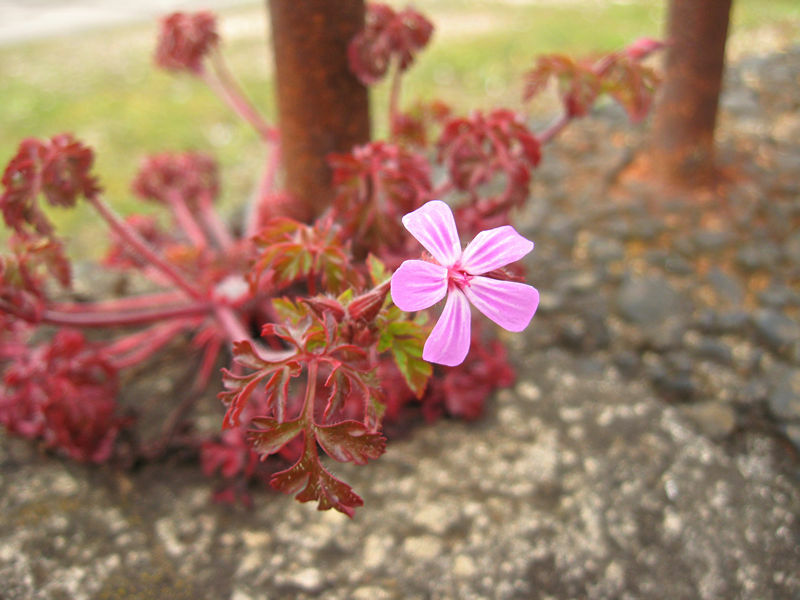 A wildflower growing from the concrete of a wall, by rusty railings, on Cinder Lane. 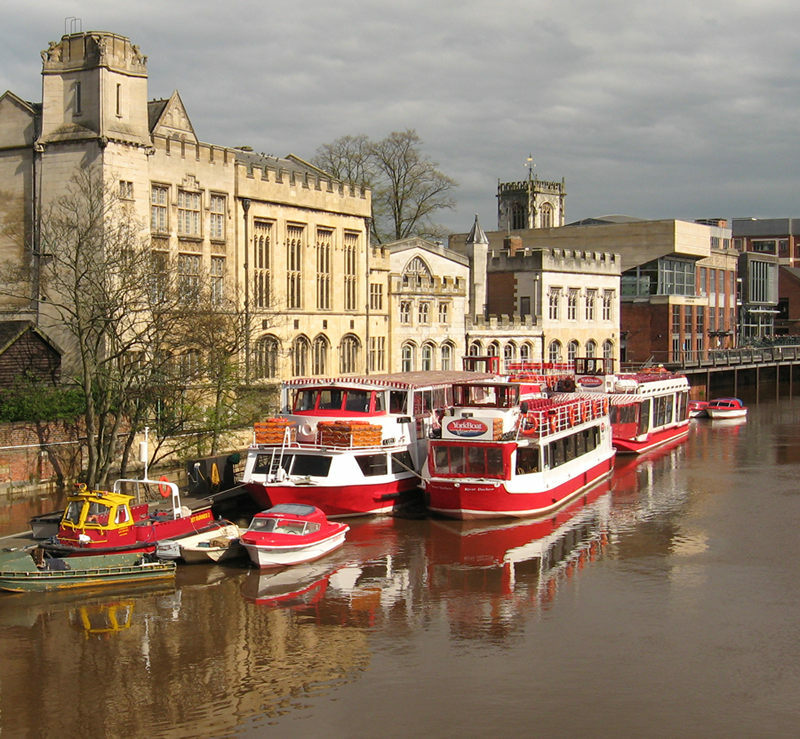 By Lisa @YorkStories • 27 April 2012 Uncategorised To link to this page's proper location please use the > permalink.